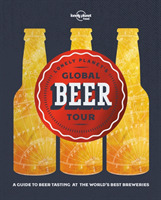 Explore the vibrant world of craft beer with Lonely Planet's ale experts. We've selected the finest tap rooms, bars and breweries that thirsty travellers can visit in 30 countries around the world. Explore the vibrant world of craft beer with Lonely Planet's ale experts. We've selected the finest tap rooms, bars and breweries that thirsty travellers can visit in 30 countries around the world. Discover where they are, which beers to sample, and learn about local places of interest to create complete itineraries. Each country is introduced by a beer expert and includes notes on regional beverages that shouldn't be missed. The craft beer revolution has seen waves of breweries open up to the public, not just in the United States, the UK and Australia, where the trend is well established, but all over the world. Visit European beer capitals in Belgium, Italy and Germany, and sample local favourites in Canada, Australia and New Zealand. In Asia, explore hotspots in Japan, Vietnam and China, then venture to South America, Africa and the Middle East. Each brewery profile is accompanied by a selection of sightseeing ideas and activities, from local museums and galleries, to great hikes or bike rides to combine your beer pilgrimage with must-see local highlights. The book also features fun sections on beer trails, hangover cures and the world's wildest beers. There's also practical advice like how to ask for a beer in the local language and the ideal snacks to accompany your drink.